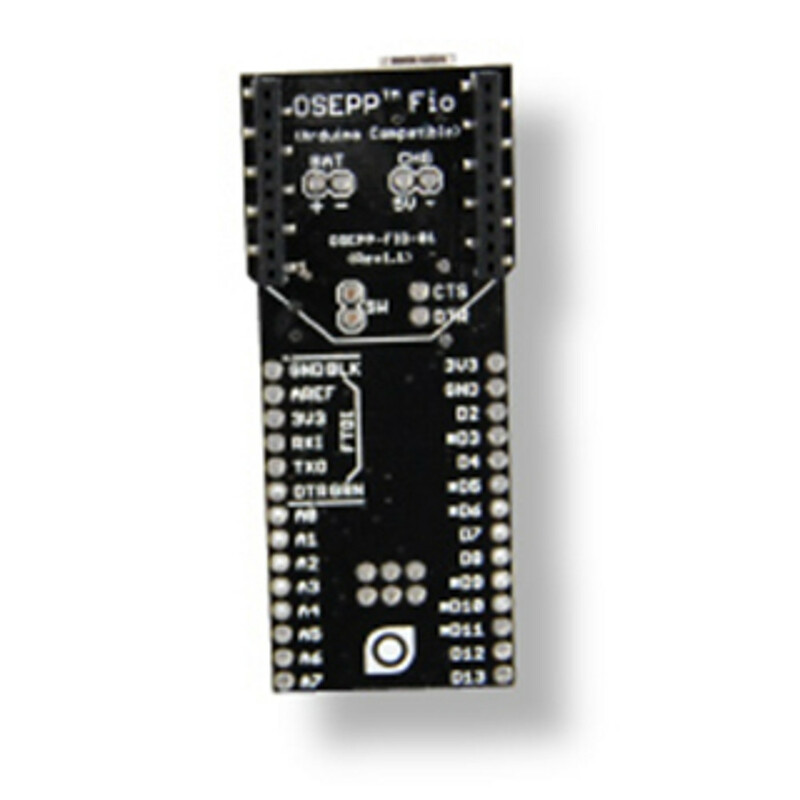 The OSEPP FIO-01 board has wireless in mind. This board may connect to an XBee radio (sold separately) and has a connector for a lithium polymer battery which can be charged over the USB connection. The ATmega328P comes with the Arduino bootloader preloaded. Should you wish to update or replace the bootloader, there are ICSP (In-Circuit Serial Programming) pin-outs that can be used in combination with a header (sold separately) for the ATmega328P. The bottom of the board comes with pre-mounted headers for connecting to an XBee module for wireless applications. To allow portability, the board can be powered by a lithium polymer battery. The board includes circuitry to allow the battery to be charged via a powered mini-USB connection. A resettable polyfuse on the USB path will trip when the current exceeds 500 mA, preventing board damage.